Paris, January 6th, 2011 – Staying safe while on the road is a number one priority for everyone; from busy business people to texting teenagers and carpooling mothers, alike. And it is widely recognized that cell phone use and driving simply do not go hand-in-hand. Yet there are times when in-vehicle mobile communication is necessary, and in these cases, Bluetooth speakerphones are the perfect partner on the road. 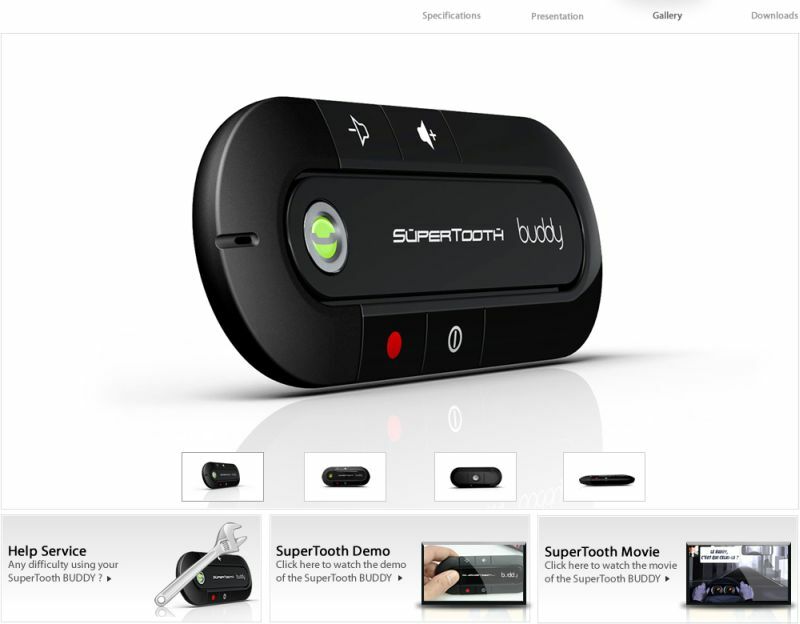 SuperTooth Buddy is the perfect present for you or those around you. 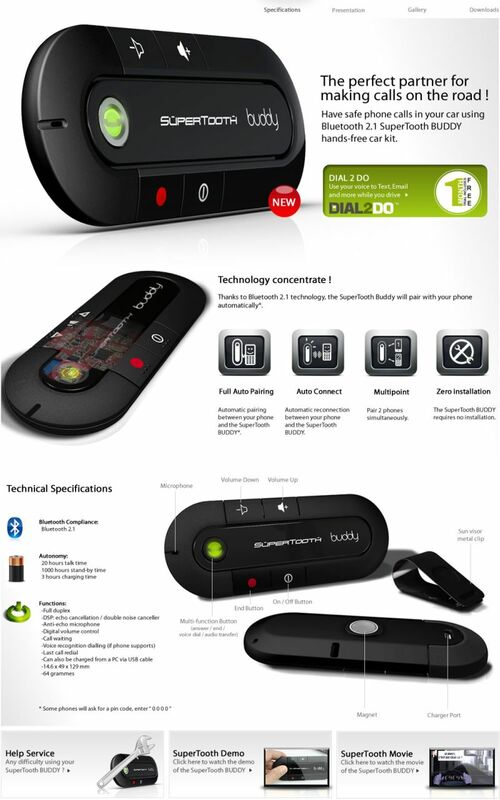 It is a safe alternative to in-vehicle mobile communication.